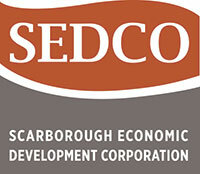 The mission of the Scarborough Economic Development (SEDCO) is to support economic and business development to improve the quality of life in Scarborough by expanding the town’s tax and employment base. SEDCO is a quasi-municipal non-profit development corporation providing site location, business and economic development, and government liaison services for individuals and businesses seeking to either create a new investment opportunity in Scarborough, or expand an existing one. Incorporated in 1985 to enhance Scarborough’s position to attract part of the new wave of industrial and commercial enterprises location in Southern Maine, the Corporation has become a unique resource as the economic picture has changed. Created as a private non-profit corporation by the Scarborough Town Council and governed by an appointed nine-member Board of Directors, SEDCO continues to expand its range of services to meet the needs of both new ventures as well as of any existing industrial and commercial ventures. Please note, SEDCO is not a membership organization. If you are located in Scarborough, you can access our services. The Scarborough Community Chamber advocates for, promotes and develops local business and our community. We lead by educating, networking, marketing and generating opportunities for active business members to succeed. The Scarborough Community Chamber of Commerce understands that part of its responsibility to the members and to the town is to give back to the community. The Chamber partners with the Town offering an annual free six-week summer concert series at Memorial Park that attracts people from throughout the state and beyond.